Posted on October 6, 2016 at 10:28 am. 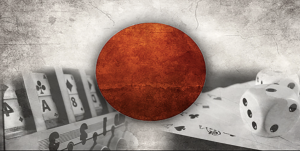 Gambling groups in Japan are again pushing to legalise casinos, but this time it might work. Last week a small committee met to confirm their plans to pass a landmark gambling bill in the National Diet. The bill wishes for the government to lift the ban on casinos and back the integration of resort facilities. Currently, The Constitution of Japan prohibits gambling and it would need to be amended in order for casino gaming to be legalised. However, this revival comes after a continuous cycle of revival and then setbacks, which commenced in the late 1990s. The latest involved this same bill, which was presented to the Diet in 2013 but removed in 2014. The advantage they may have this time is it is the last chance for Prime Minister and president of the Liberal Democratic Party (LDP) of Japan, Shinzō Abe’s, to commence the legalisation of casinos before the 2020 Tokyo Olympics. This is because the bill would need to be passed in this Diet session to enable further legislation to be developed before the global event. As reported by the Yomiuri Shimbun, the revival of the opportunity to create the $40 billion a year industry was done so by the Secretary General of the LDP, Toshihiro Nikai. Nikai has been backed by the Deputy Chief Cabinet Secretary, Koichi Hagiuda, who suggested Japan were falling behind Asian counterparts in terms of hosting facilities, in a press conference last week. “Integrated resorts are an extremely effective tool when soliciting private investment for making exhibition sites and other such facilities,” he said. The Diet use to require both parties consent, but since the LDP holds the majority it doesn’t require the opposition, the Komeito party, to agree. However, it is believed if both parties support the bill the nation will see the legalising of casinos in a better light. Komeito leader, Natsuo Yamaguchi’s support didn’t sound likely as he advised legislators to be careful when it came to discussing the integration of casinos, last week. However, there have been statements of support issued by individual members of the opposition party giving hope to a free vote on the bill if given the opportunity.